The protests that broke out across Iran towards the end of 2017 were not triggered by one event. Their cause was mounting unrest at zulm: an all-encompassing term for the injustice, iniquity and oppression that has permeated Iranian society for more than a century. On 1 May 1896, a commoner killed the king of Persia with a rusty Russian revolver bought from a fruit merchant. The assassin was untrained; his weapon barely functioned; but the target was so close that it did not matter. Nassereddin Shah Qajar, who had been king since 1848, was visiting a holy shrine south of his capital, Tehran, as part of the celebrations marking the 50th year of his reign. He was there, one might assume, to pray for many more years on the throne. As he entered the shrine, he was approached by one of his citizens carrying a letter, a petition of sorts, underneath which the revolver lay waiting. 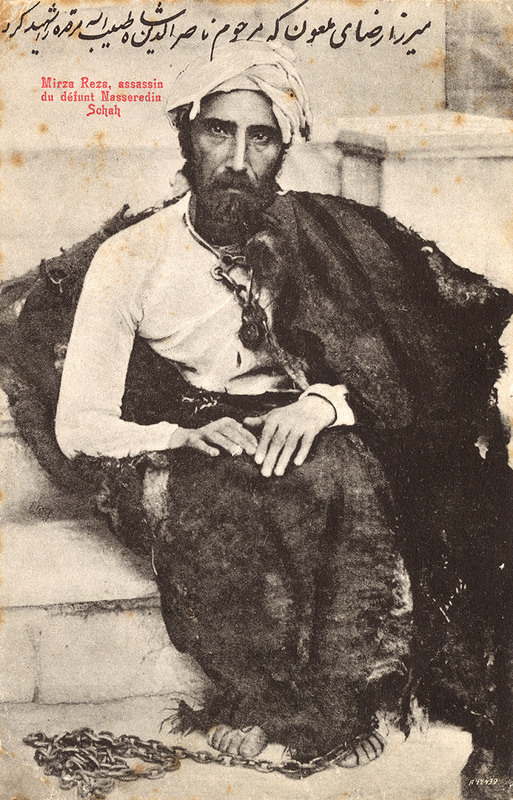 Mirza Reza Kermani, the commoner who killed Nassereddin Shah Qajar, was a disciple of Sayyed Jamal al-Din Afghani (1838-97), perhaps the most notable advocate of Pan-Islamism in the 19th century and one of the earliest voices in the movement that later became known as Islamic Modernism. After he killed the king, Mirza Reza fled the capital, but was captured before he could cross the border into Ottoman territory. He was brought back to Tehran, jailed, tortured and hanged in public. Some contemporary accounts described him as a revolutionary – he had shot a monarch, after all. But as his own words reveal, Mirza Reza never intended to overthrow the Qajar dynasty; he had no plan to transform Iranian society or to help fashion a new political order. He was simply tired of injustice. His only wish was that a just ruler would replace the one he had removed. This is what injustice begets. [We live under] untrammelled tyranny, unchecked oppression. What can be worse? They rip the flesh off of their subjects and throw it at a few preying hawks. They take a lump-sum from a rascal and hand him the title deed of an entire town or province, the livelihood and the property and the land and the dignity of its people. A hopeless, run-down subject has to leave his woman because he can’t provide for her, while they court women in their dozens and shower them with money skinned brutally from the people … Everybody knows these [things]. They just don’t dare say it loud. If we were to cross out the name at the top of the transcript, this could be a complaint from last week, last year or, indeed, almost any year from Iran’s turbulent 20th century. A decade after Mirza Reza was hanged, Mozaffareddin Shah, the successor to ‘the Martyred Shah’ – and by all accounts a milder man than his father – gave in to popular demand and ordered the establishment of the first Iranian parliament, better known as Majles. Soon after his momentous decree, Mozaffareddin Shah died. His son, Mohammad Ali, took over and ordered the bombardment of the Majles. Civil war broke out, followed by the First World War and a period of chaos in which the central government effectively lost control. In 1921, order was partly restored – with a coup. Reza Khan, the officer leading the coup, became minister of war and then prime minister to the young Ahmad Shah. By 1925 he was ruling Iran in all but name. Then the deputies in Majles, striving for stability and security, deposed Ahmad Shah, abolished the Qajar Dynasty and appointed Reza Shah Pahlavi as the new monarch. Reza Shah embarked on a top-down, autocratic modernisation of the country – roads were built, education was secularised, while those who had introduced these modernising ideas to the new self-styled ‘dictator’ perished in prison. During the Second World War, the Russians and the British occupied Iran and forced the Germanophile Reza Shah into exile. Then came the era of decolonisation, during which the towering figure of Mohammad Mosaddeq, who led the movement to nationalise Iran’s oil in Majles, became prime minister. He was brought down by an Anglo-American coup in 1953. The 1960s and 1970s saw another wave of autocratic modernisation by Mohammad Reza Shah until, in 1979, after years of growing unrest, a revolution ended Iran’s long history of monarchical rule and turned the country into an Islamic Republic. Disregarding a few months here and there, whatever the form of government or the name of its head, the sentiments expressed by Mirza Reza have been a constant complaint in the jumbled story of 20th century Iran – all the way up to January 2018. Watching clips of the recent protests in Iran, a disinterested observer might struggle to identify the cause of the unrest or, indeed, a list of the protestors’ demands. That is because there are none. Or, conversely, there are too many. Here, protestors chant against the Supreme Leader, Ali Khamenei; there, against the President, Hassan Rouhani. Today, they lambast the corrupt judiciary; tomorrow, it is about the economy. There are dominant themes, of course – ‘bread, work, freedom’ – but there is no one tragic event or unpopular policy on which to build a causal tower. ‘It’s not a life we’re living,’ says one woman in a news clip. Many better-off Iranians, even some members of the so-called intelligentsia, find her rage and that of the protestors baffling. That is because they only read or write about hardship; the woman in the clip lives it. Iran is a rich country – the fifth richest in the world in natural resources, according to the Wall Street Journal. It is home to an ancient culture and a young population, many of whom share a sense of entitlement that probably stems from an awareness of Iran’s wealth or from a prejudiced belief in the superiority of the country’s glorious past. Whatever the cause, this sense of entitlement is unmistakable. So, now, is its tangible frustration. 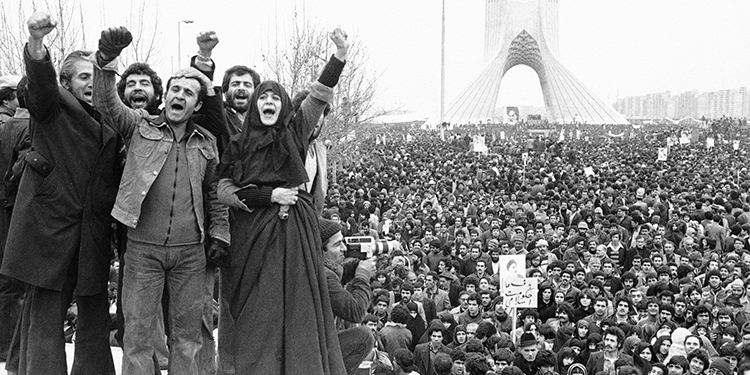 The 1979 Revolution was a revolt against humiliation and injustice, against the arrogance of a western-educated Shah, who, emboldened by rocketing oil revenues, promised to revive the ‘glory of Iran’, as if Iran were an object of his possession, a mere abstraction, rather than a nation of 30 million. The Revolution that deposed the Shah promised to liberate the downtrodden and give them back their dignity. It had a religious leader in Ayatollah Khomeini, but its call was universal. The republic that the people voted for after the Revolution was supposed to be everything the monarchy was not: of the people, by the people, for the people. It would not be flawless, but it would at least be free of zulm, the injustice that enraged Mirza Reza and the revolutionaries of the 1970s. Yet for almost 40 years, the people have been divided into khodi and qeyr-e khodi, ‘one of us’ and ‘not one of us’. As a result, the whole country has suffered. Knowledge and talent have been sacrificed for allegiance and belief. Brilliant hands and minds have been sidelined, left the country or worse. Pretentious religiosity and forged piety have been rewarded. The result? Chronic mismanagement, institutionalised hypocrisy and a despairing, alienated majority fed up with injustice – or zulm. Zulm, an Arabic word in origin, refers to something broader, deeper and more powerful than injustice. It can be used to mean tyranny, abuse, iniquity, cruelty, oppression or unfairness. It is a word like no other in the political language of Iranians. It appears everywhere, from the Quran to the underground revolutionary music of the movement that followed the disputed election of 2009. Children are told about it at school: ‘It was that which brought down dynasties and despots’, they are told, ‘and it was eradicated by the Islamic Revolution.’ Unfortunately, however, it was not. Zulm is, perhaps, the word which best defines post-revolutionary Iran, an omnipresent yet elusive truth that permeates Iranian society and an explanation of the recent protests, the invisible thread that connects the otherwise unrelated, even incompatible, slogans. 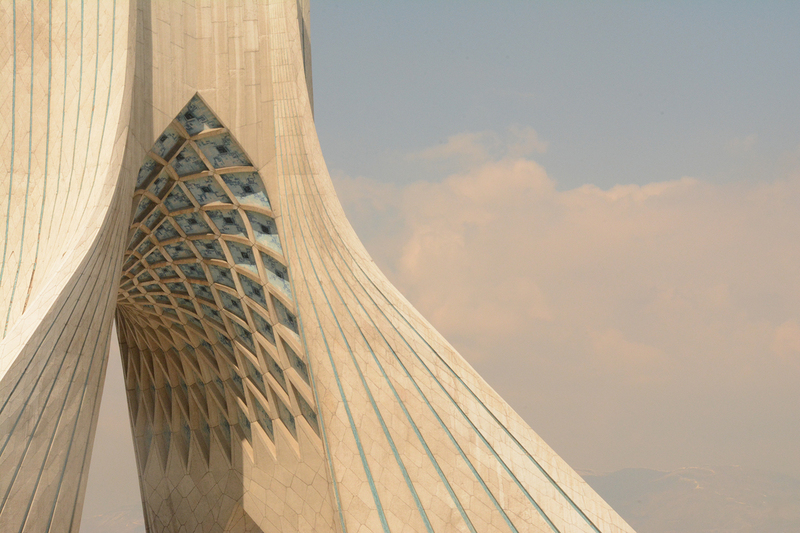 Iran’s economic outlook is hard to predict, especially for a lay person. It is certainly not bright, but the darkness seems to vary depending on whom you ask and whom you believe. One thing is clear, though: even if the figures are as promising as some officials say, that promise has not reached the majority of Iranians. Some commentators sympathetic to the current administration cite economic data to argue that the people’s bitterness is misplaced, exaggerated or a foreign invention. Economic figures are not facts – certainly not when they contradict an individual’s experience. Iran’s political scene is somewhat easier to describe: it is bleak. There is no real party, no real trade union, no real freedom of expression. Many basic and political rights were guaranteed in the Constitution of 1979, but are ignored in practice. Half-hearted attempts to revive its forgotten articles, on freedom of press and freedom of assembly, for instance, have been aborted by regressive forces, namely the judiciary, the all-powerful Islamic Republic Guards Corps and the Guardian Council, whose 12 members, appointed or approved by the Supreme Leader, can disqualify anyone from standing for any election and reject any piece of legislation that they deem un-Islamic or unconstitutional. The inherent contradiction at the heart of the Iranian polity means that conflict is inevitable. You cannot have a republic while also having a Supreme Leader who answers only to God. Most politicians in Iran acknowledge this contradiction. Some resolve it by maintaining that the leader is supreme and that the people’s will is at best complementary. Others say that, though this is an affront to the very idea of a republic, there is not much one can do about it. The first group are known as hardliners, conservatives or principle-ists. The second group are called moderates, pragmatists or – without irony – reformists. The ‘reformists’ – broadly speaking, those associating themselves with, and tacitly approved by, the mild-mannered, relatively open-minded former President Khatami – are standing on the edge of a political cliff. One step forward, towards real calls for democracy and accountability, and it is game over. The constitutional tension between the president – elected by the people for four years – and the leader – chosen by a select group of religious clerics and for life – is very real. The latter is almost almighty, enjoying an undisputed authority vested in him by God and the constitution. The former holds the highest elected office of the land and, in theory at least, can claim popular authority. It is no coincidence that of the six former presidents of the Islamic Republic of Iran – since 1979 – three have been barred from politics after their term and one lives in exile. The fifth – chronologically the second president – was killed in a bombing in the turbulent early years of the Islamic Republic. The sixth, the only one not fallen from the cliff, is Ayatollah Khamenei, who was chosen by an assembly of clerics behind closed doors to succeed the deceased Supreme Leader in 1989, a position he still holds. In a system where presidents diverging from the leader’s line have had to flee for their lives or have been barred from standing in later elections, where a former prime minister is put under house arrest for challenging the result of an election, consider what becomes of those outside the circles of power – activists, writers, workers, students, teachers and artists – who dare voice their discontent. Suffice it to say, not everyone survives. There are consequences to stifling dissent: in a barren political landscape, void of meaningful conversations, imagination rots. Ideas, vital for the progress of any society, die out. And discontent, finding no collective, structured means of expression, turns to primal human instincts. This was the case with Mirza Reza and his rusty revolver. And it is in this sense that the recent protests are most notable. Unlike the mass rallies of 2009, which meant to challenge the results of a presidential election and were led by the candidates who had rejected the outcome, the recent wave of protests had no leader and looked rather uncertain as to what it wanted to achieve. The protests seem to have been caused by a blunder. It appears that hardliners sought to put pressure on the moderate President Rouhani by stirring up a contrived protest in Mashhad, a religious heartland in north-east Iran. It backfired spectacularly and it is not hard to see why. If you are the co-pilot of a plane in turbulent conditions, with dozens of ill-tempered crew members and anxious passengers on board, you do not take on your co-pilot – the moderates, in this analogy – by inciting a section of the passengers on-board to ask for his dismissal. But this is effectively what the hardliners did, encouraging their supporters to attack the government on economic grounds. In doing so, they created an unintended space for dissent. People took over the rally in Mashhad, came up with a slogan or two and, crucially, recorded their achievement. Telegram, the ubiquitous messaging application with about 40 million users in Iran, took care of the rest. Protests broke out across the country on the last days of 2017 and the first week of 2018, including obscure towns far away from the capital. An investigation conducted by BBC Persian suggested that all but a few towns witnessed some form of protest in the preceding 12 months. Most protests were small, non-political, outside the big cities and therefore went unnoticed. Across Iran there are thousands of workers who have been unpaid for months. Farmers are desperate for subsidies and rain. Women are tired of being told what to wear. Pensioners struggle with pollution. The youth want to be allowed to be young. None of these are traditional political activists, or indeed revolutionaries, yet they all feel wronged by the state. They might not be experts in law or ethics, but they recognise corruption and hypocrisy and incompetence when they see it. They might react with jokes, but that does not mean they are not angry. Now another 20 Iranians are dead, killed during the recent protests. Thousands were arrested, mainly young people, some taken from their homes. Three – to date – have died in custody. This is zulm and people can see it. They may not be able to articulate it; most may not dare to say it loud, as Mirza Reza said to his interrogator; but they feel it and resent it. The protests that marked the beginning of 2018 in Iran did not achieve much. They were not expected to. 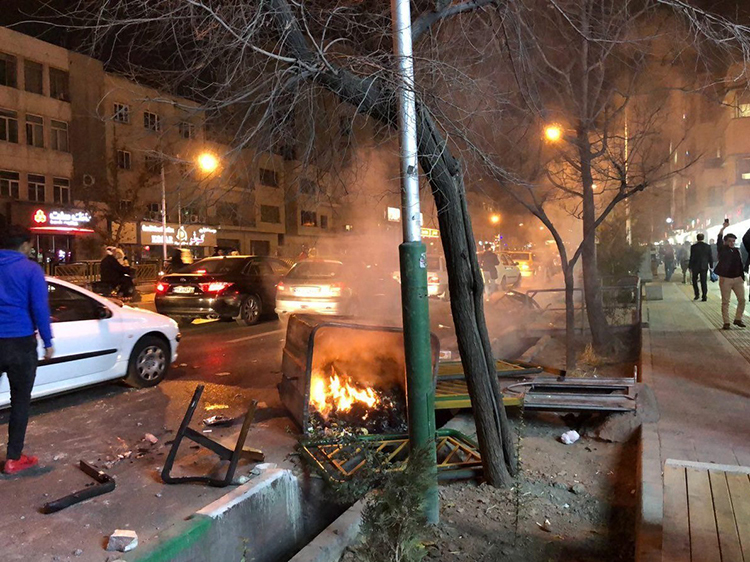 But the events of January did give rise to certain conjectures on Iran’s politics and society: that the long established binaries of Iran’s politics ­­– between hardliner and moderate, middle class and poor, urban and rural may hold no more. They also suggest that the reformists could well lose their position as the ‘only viable alternative’, if they do not actually oppose something; and that social media, rife as it is with inaccuracies and lies, can indeed be a force for change. The song is called Morq-e Sahar (Dawn Bird). It was written by Mohammad Taqi Bahar (1886-1951), a poet, scholar and politician, who never met Mirza Reza Kermani but shared his frustration – and passed it along to the next generations. Almost a century later, the verses still move many Iranians because they are not a relic of the past, but a sombre portrayal of their present. Mehrad Vaezinejad formerly worked at BBC Persian and has a PhD in the modern history of Iran. He is working on a monograph on religious authority in modern Iran.